©1994 C.J. 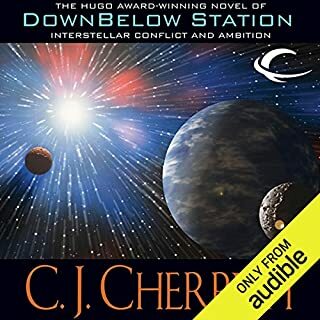 Cherryh (P)2012 Audible, Inc.
One of the strangest books I have heard or read after James Joyce's Ulysses. I feel myself very brave that I managed this to the end. I got constantly tangled with the names, they were much too similar. Phew! I wanted to like this story, I really did. It's a first contact story exploring an accidental human colony on an alien planet, mixed with a kind of Woman in Black stately English home/hunting lodge scenario. Unfortunately, I read a review where someone complained that C.J. Cherryh tells you everything over, and over again - this is not an exaggeration. There is an incident early on with a gun under a mattress. Is there a gun under the mattress? There's a gun under a mattress. Will anyone find the gun under the mattress? Remember the gun under the mattress? There was a gun under the mattress. The mattress, with a gun under it. Even as a sci-fi/fantasy lover, I find too many far-out made-up names tedious. Foreigner is an unending tedium of made up names and titles. It's just an endless stream of monotonous characters... Munchichi, Bunnichie, Paidie, Mydie, Schmidie, Punchichi - Ok, I am being unkind here and making some names up for dramatic review purposes. The reader seems to be from the William Shatner school of voice acting. With. Pauses. Punctuating in between. Sentences. Nope, sorry, didn't like this one! the narrator did a good job with the names and manuvering dialect. I found the story very hard to relate to the main character. I found him whiney and over accommodating. I'm not sure I want to continue the series. I understand the concept of being at the mercy of others, but...I don't like the human. 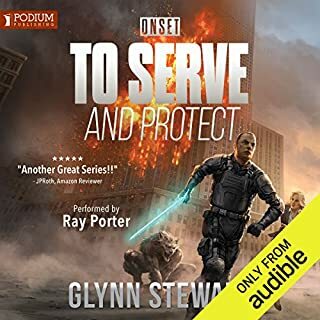 I have been considering the Foreigner series for awhile and since Audible has recently added some more titles to the series I decided to take the plunge. 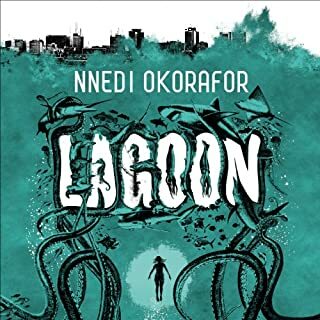 I've hesitated because several reviewers have commented on the slow pace of the first book, Foreigner: Foreigner Sequence 1, Book 1, and I tend to get frustrated with slow books. However, several reviewers have said that the series picks up after Book 1 so I decided to try at least two books in this series. I have now finished Foreigner and Invader (Book2) and I've made my decision. 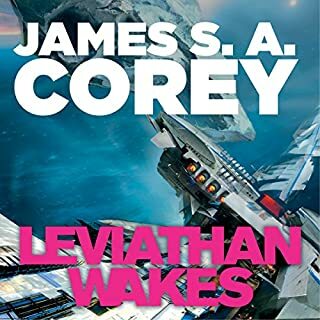 I won't be spending any more credits on this series, but it isn't the pacing that is putting me off, it's the main character that I just cannot stomach any longer. Foreigner and Invader are both told from a Third Person Limited Point of View and the POV is Bren who spends ALL of both of the first two books in varying emotional states of terror, panic, hysteria, confusion, and depression. In addition, Bren suffers both poisoning and severe bodily injury so he's in pain, both emotional and physical, throughout both books and we, the listeners, are stuck seeing all the action through this guy who cannot ever get it together. To make matters much worse, Bren over-analyzes his own feelings and actions and everyone else's to the point that you just want to smack him. Ultimately, he is so caught up in his shorts he is about as effective in dealing with the atevi and his own human government as Neville Chamberlain was in dealing with Hitler. Foreigner is not bad, it's just not as great as it might be. 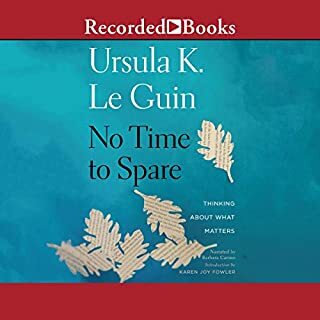 Cherryh's prose is quite good, I loved the characters other than her POV Bren, and she tackles some interesting questions about culture and society. But she can beat a dead horse like no one's business (where are the editors????) and she has created a diplomat that thinks like a 15-year old. Sorry, that's not fair to teenagers, but Bren truly does not think like a man with a fully developed PreFrontal Cortex. He is constantly second-guessing himself and agonizing over facial expressions and apologizing for EVERYTHING. As interesting as Cherryh's world and the atevi are, I just can't watch any more of it through Bren Cameron's eyes. I will give some major credit to Daniel Thomas May as the narrator - he is a consummate professional! Even when Bren is cycling through endless reiterations of second guessing himself, even when Cherryh is describing irrelevant details of a room to the nth degree, even when Bren is having one of his boring, confusing, bizarre dreams (yes, this device is used repeatedly and I hated those parts), May maintains a strong narrative voice that greatly enhances these books and makes some of the tedious parts more bearable. If you could sum up Foreigner in three words, what would they be? Complex. I found the story a bit slow and confusing in the beginning, especially the first 2 parts because I just had trouble following it and the flow for a while. That is difficult to say because it was really all about 1 character and I wouldn't say that I really felt connected to any other. Politics is complex in the future as it is in the present. 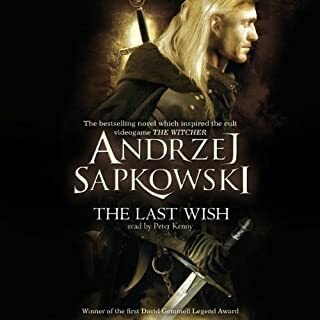 I liked the story eventually but I struggled for a long time to understand what was really going on and what the real perspectives were because it was all form a single point of view with very little historical context. Even at the end I'm not sure I really figured out the divisions, sides, and perspectives. I will read the next in the series and think more will become clear. This series should be awesome! STORY - Foreigner is the first of a very long series, thus it gives a lot of information and detail which will, no doubt, be an important background for episodes to come. I found the book interesting in the beginning but hard to follow as it jumps around between different settings. The middle was often tedious and slow-moving, and then it became very exciting in the end. It begins with the history of the human landing on a new planet and covers the first contact with an alien species. Then it progresses to exploring the differences between the species and the political difficulties of both species cohabiting harmoniously on the same planet, told through the eyes of the lone human ambassador/translator (Bren) living amongst the aliens. 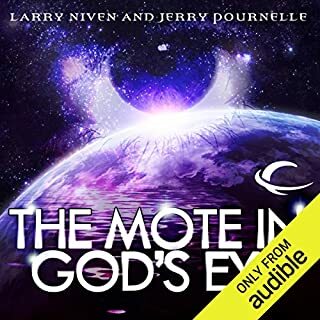 Bren experiences kidnapping, murder attempts, a rebellion and other events which evidence the danger of trying to merge the two civilizations, but it is this part of the book which I found somewhat slow. The alien names and places can sometimes be hard to remember and keep straight, but it's not too bad. The ending is not exactly a cliffhanger, but it leaves a lot of questions unanswered. I look forward to continuing in this series. 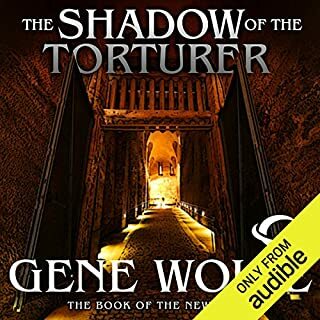 NARRATOR - Great narration, perfect for this book. He has a gift for timing sentences perfectly to deliver the most impact. I am pleased to see that he will narrate the whole series. OVERALL - This book is kind of slow in the middle but still enjoyable. It sets the stage for what should be a great Book 2. 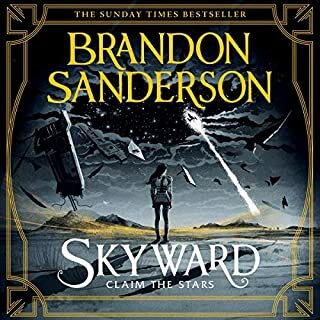 Considering I've now listened five of the six books that Audible has of this series you could say I've enjoyed it. The series follows the life of Bren Cameron in his role as a translator, ambassador, and diplomat. Cherryh does an excellent job of creating a complex character in Bren. The plot of the series isn't overly complex, and the main body of the plot is in the details. You get a really personal look at Bren and all the stressors in his life; family, job, and identity. While there is some fast paced action, the truly interesting stuff is seeing how Bren will react to all kinds of provocations in his role as a diplomat. 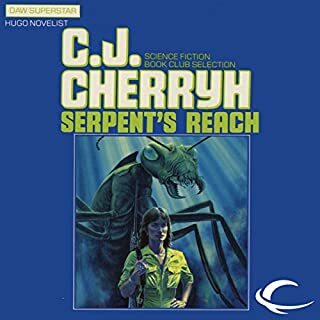 My only complaint is Cherryh loves to set up vast conspiracies and mysteries only to solve them in the last 45 minutes of a 15-18 hour novel, followed by little to no conclusion. Then when you pick up the next book she skips ahead a few years and slowly fills in the story of what happened after the last novel. It isn't a horrible plot device but you don't really get a solid conclusion to one novel without reading the start of the next. Not sure I would like it. It turned out to be better than expected. I already downloaded the next in the series. Everybody's on the brink of war: humans against atevi, atevi against atevi, even humans against humans (small surprise). And trying to balance on that brink is Bren Cameron, a human/atevi language expert plunged into politics and violence. 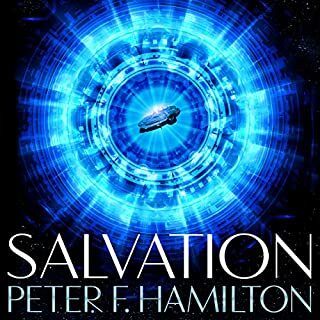 He's struggling to understand alien motives, to find decent answers to explosive problems, to advise and explain without betrayal, and to hang onto his humanity while submersed in alien culture. 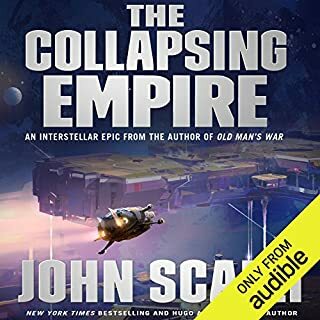 Oh--and while Bren dodges lies and bullets, his mom is ill, his brother's marriage is on the rocks, and he himself is dangerously attracted to the younger of his alien bodyguards. 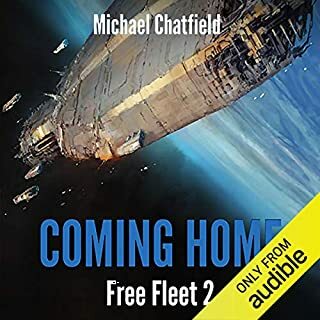 Daniel Thomas May does an outstanding job narrating this fresh, in-depth, and fascinating look at the dangers and rewards of alien contact. 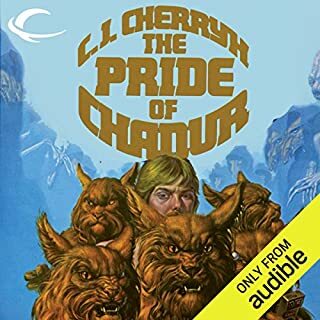 C. J. Cherryh's Foreigner series is one of the best alien-interaction series ever written, IMHO, and this is the first book in that series. The series centers around Bren Cameron whose role is that of the sole interface (Padhi) between humans and the Atevi. Humans have landed on the home of the Atevi, and have been isolated onto a single large island to prevent further wars caused by misunderstandings. The Atevi are a sentient species that is hardwired to think differently from humans and this has led to a previous war that nearly wiped out the human contingent despite the humans far more advanced technology. 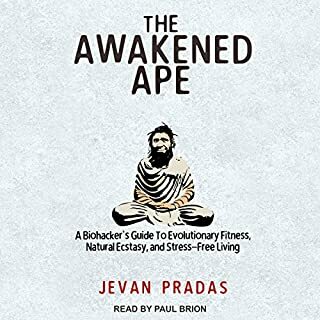 Bren's job is to be the interface, translator, interpreter, and diplomat between the species, and is the only human living amongst the Atevi. Foreigner is a complex book, and is the start of a series that develops in complexity over time, but there's a fair amount of world-building that has to happen in this first book. Don't let that put you off, it's more than worth it. 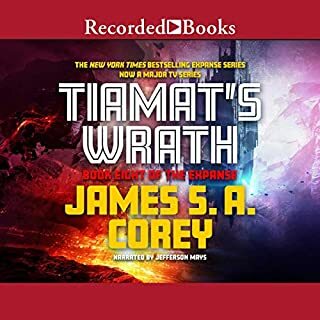 The entire series is read by Daniel Thomas May, and he does a superb job. 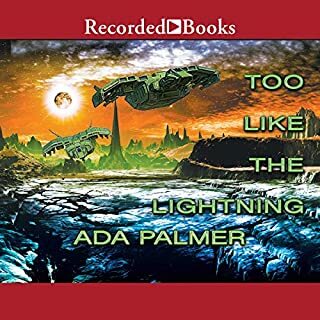 The voices are easily distinguished without hammy and inappropriate accents, and his reading is never intrusive, but always clear and well-paced. If you're just starting this series, I envy you. Though I find myself going back and re-reading every few years from the very beginning. Actually, this book takes place mostly 150 years after first contact. But there is still a cultural divide that makes working together almost, but not quite, impossible. This book does a great job of speculating about a language and a culture that is — dare I say it? — foreign to our own. At times I was very frustrated with this book for the exact same reasons the main character was. At no point did I think that things were happening that didn't make sense. It was well constructed and was an interesting way in exploring a foreign culture. I look forward to reading the sequel. 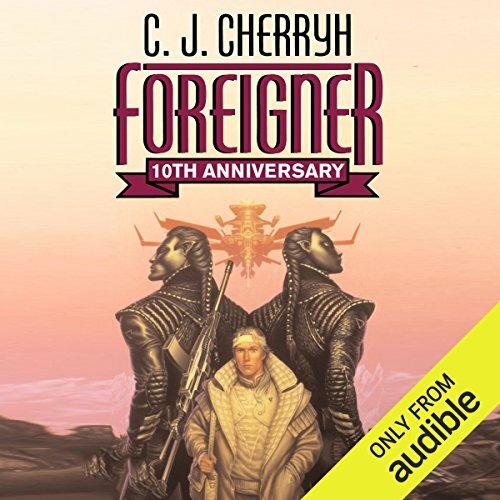 For the last several weeks I have been absorbed in the audiobook world of Foreigner by C.J. Cherryh. I am now on book 13 of 15. This series is so very compelling. 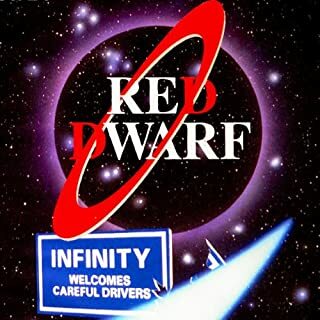 It's mostly concerned with the activities of a human envoy to an alien species, and a lengthy expose of detailed diplomatic negotiations with forays into action and warfare. It is surprisingly interesting, to the point that I must listen at all times and not give attention to anything else. I worry about what I will do when the last book is done.